KTM’s recent training camp for riders from the Middle East and Africa with Harry Everts has been a resounding success. KTM is well known for its commitment to young talents, and over the years the brand has developed many youngsters into world champions. 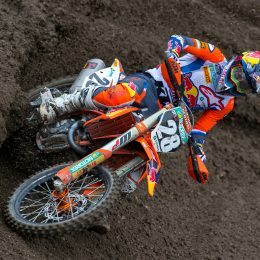 In the USA there’s the KJSC program, which sees young riders on KTM 50 SXS machines ride around Supercross tracks and their integral junior race program, while in Europe the likes of Jeffrey Herlings and Jorge Prado have been or are going through KTM’s junior support program and have gone on to win championships. 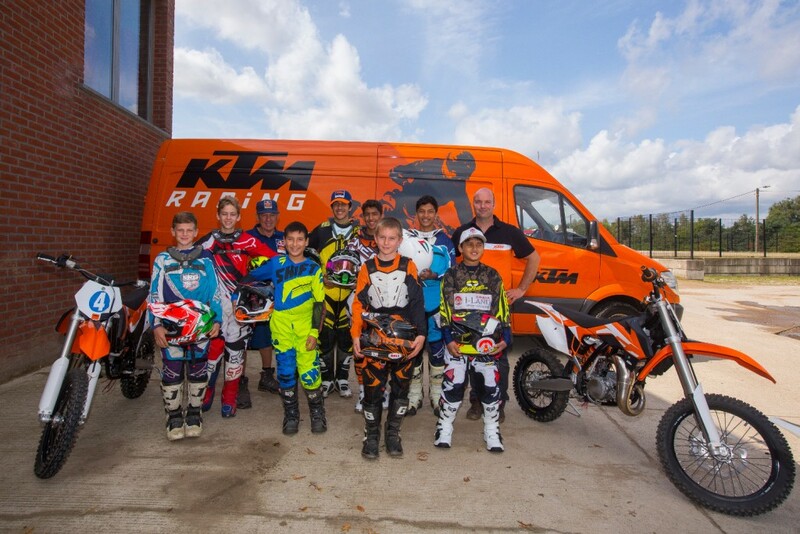 As part of the commitment to young talents, and offering support to growing markets where KTM would like to see more riders in the future, the recent training camp with Harry Everts and KTM UAE was organized for riders from the Middle East and Africa. The riders travelled to Europe for the week-long camp with former world champion Harry Everts, and were given brand new KTM 85 SX machines to ride. Unfortunately for the riders it was wet for the week, and they were literally thrown in at the deep end by being faced with the likes of the notorious Lommel track in super-tough conditions. After beginning the week with crashes every corner, all the riders made significant progress despite not having any comparable tracks in their home countries and it’s really created a lot of local excitement that they were given this opportunity. “Everything went well and this training camp was particularly special. I have never worked with boys from India, Kuwait or Dubai before in my 21 years of training and I thoroughly enjoyed the experience; everyone was very friendly and it was great to see the enthusiasm and progress made. They really enjoyed riding the KTM 85 SX bikes that had been prepared for them, although the mechanic had a lot of work due to the conditions of the tracks, so we have to say a big thanks to him, as it was not easy,” said Harry. 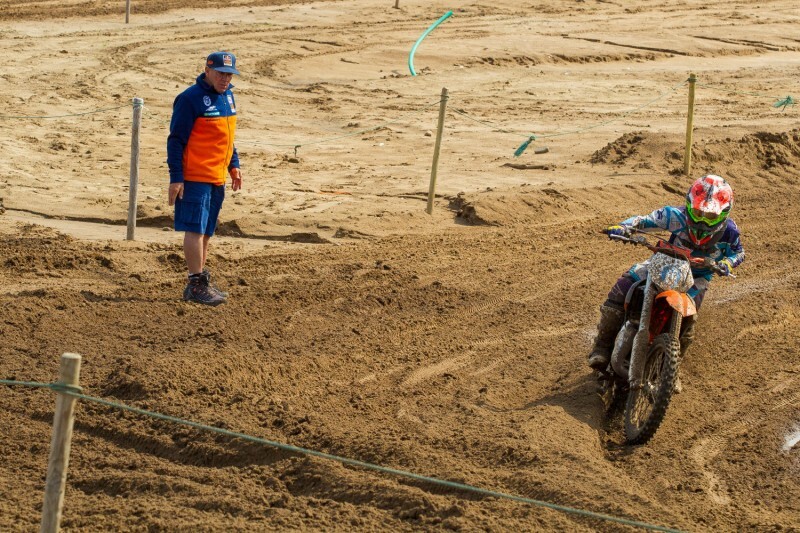 “Unfortunately the tracks were wet throughout the stay, and so it was tough because the riders had never seen anything like it before – Lommel in the dry would have been a special experience for them, yet they had to also deal with the fact it was very, very wet and some of the tracks were closed. After six days we saw the riders making a massive improvement; from crashing every corner in the beginning, to being able to ride the track very well and they all went home very happy. It was a pretty tough schedule with three days riding before the rest day, so I know it was quite intense and tiring, but they did a good job”, continued the former world champion. With an intense schedule that saw the riders tackle some seriously tough tracks under the watchful eye of Harry, who also delivered a theory talk on the rest day and ensured the riders had the best possibility of seeing the life of riders in Europe, it was a challenging yet fruitful week for the juniors. “I expect that some of the names we will see in the future racing at a good standard, although this was a good foundation also for riders in countries where there is not so much competition or opportunities for youngsters. 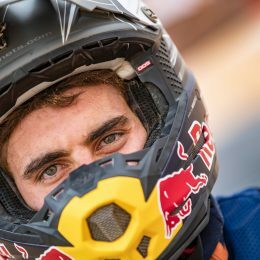 They also had the opportunity to visit the MXGP in Assen to see how the real heroes do it, which was a great way to finish the week,” concluded Harry. Pit Beirer, KTM Motorsports Director explained that the company has always been proud of its involvement with youth racing and developing young talent, so the opportunity to work with juniors from markets such as the Middle East and Africa by bringing them to Europe to train on some typical tracks seen in the world championship, with new KTM 85 SX machinery, is something very special. 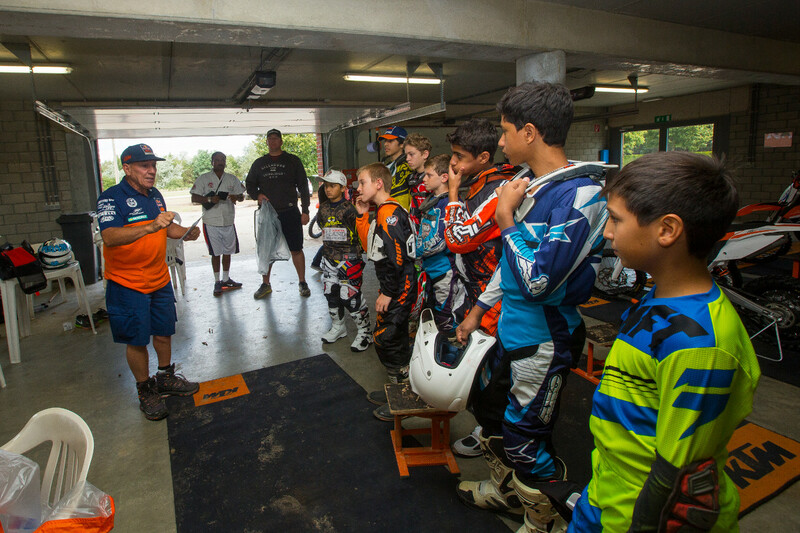 In the long run KTM expects to see more and more professional riders from the Middle East, but in the short term these riders have enjoyed an exhausting week with one of the world’s best junior trainers at some of the most well-recognized tracks in the world. 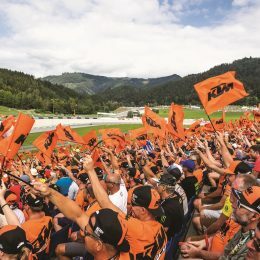 KTM will continue to do its best to help these important regions entice new riders into taking up the sport, and offer opportunities to learn from the world’s best.